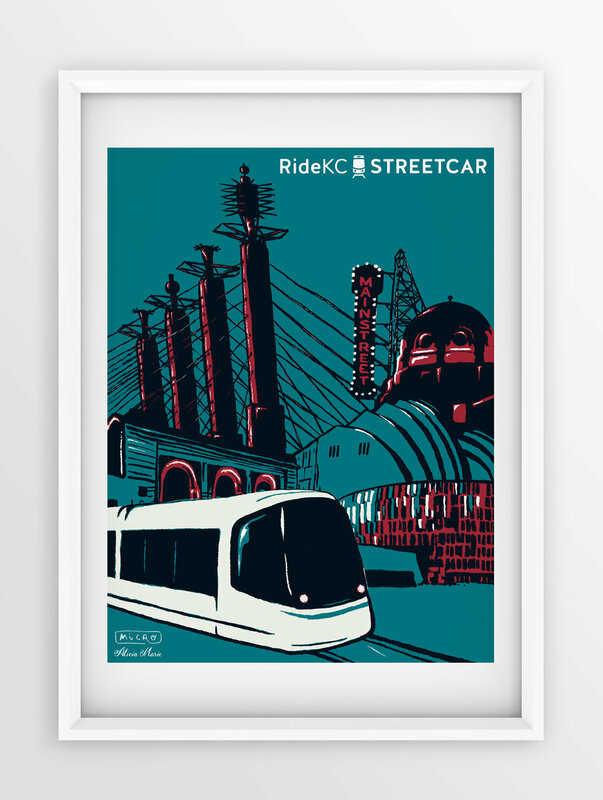 The MICRO team for the Fall of 2016 developed a cast of limited edition poster designs to mark the unveiling of the KC Streetcar. Inspired by vintage travel and WPA posters, these pieces were hand printed and sold to support the new downtown transit system. MICRO Fall 2015 team from left to right: David Terrill (instructor), Kate Dittman, Alicia Wyatt, Eren Russo, Madison Crabtree, Emily Woodson, and Karolina Akimov.